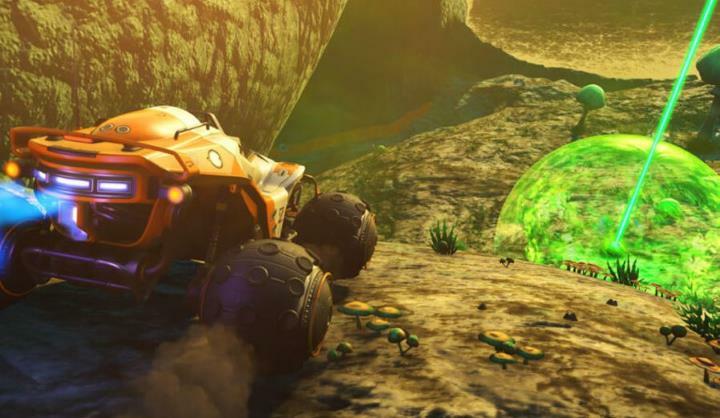 It’s hard to argue that No Man’s Sky was little more than a disappointment last year. This is because while this game by outfit Hello Games promised a lot, it mostly fell short, not delivering the plethora of interesting planets to explore, exciting first-person combat and cool survival elements players were expecting for the game. At least Hello Games has been supporting their epic space game since its release last August though, making good for those players who are still enjoying this interplanetary adventure. And No Man’s Sky got a big update in November last year, which amongst other things added base-building to the game. This also added several gameplay modes including a survival mode for those looking for a greater challenge and other conveniences like fast travel and several graphical improvements too. Other interesting additions include the “starship specializations” as starships can now belong to one of four categories (fighter, shuttle, hauler and explorer), each excelling in a specific area. Also of note are the new graphical improvements in the game and support for 4K resolution in the PS4 Pro version, meaning No Man’s Sky is now prettier-looking than before. Plus players can now share their bases online with others, even if meeting fellow players online will be an unlikely occurrence at this point, as most likely gave up on the game quite some time ago due to its buggy launch and lack of features at release. Because No Man’s Sky clearly is a case of a developer promising the world but failing to deliver afterwards, much to the disappointment of so many players. And clearly Hello Games could have scaled back some of the game’s planned features (or perhaps save them for later DLC) and delivered a better experience at launch. That wasn’t the case though, and even after the updates, this is still not the game we were promised in 2016. Here’s hoping, though, that No Man’s Sky keeps improving so that those who dive into the game now get a good dose of interplanetary exploration, while those who previously played the game can now expect a more colourful and engaging game world, even if that is little consolation at this point.